← Pope Francis and Blessed Peter Faber, S.J. I am gradually building out the “Life of Teilhard de Chardin” posts. It has taken longer than usual as work and family preclude me from spending more time on the blog. 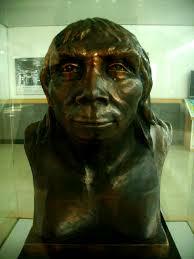 However, here is the latest installment: Discovery of Peking Man and Travels (1928-1940) which can be read here. Please forgive the link but I am converting Teilhard’s bio to an easier-to-find “Page” format rather than a “Post” format that the other ways were in (I am still new at WordPress). Like all of the other posts in this series, it is a mish-mash from a variety of secondary sources, not all of which agree with each other. As such, there are bound to be errors and I welcome any and all corrections. This entry was posted in Uncategorized and tagged China, Davidson Black, evolution, hominoid, Homo Erectus, Peking Man, Sinanthropos, teilhard de chardin. Bookmark the permalink. I have often marveled William at the time, research and scholarly input you pour into your posts knowing that you have both job and family vying for your attentions…thinking how great you seem to manage all of the components of life and still find time to share such insight with those of us “out here” in the cyber world of blog life 🙂 Kudos my friend…. Thank you Julie. At times it is a stretch but I am able to function on not a lot of sleep (due to caffeine, not my natural body rhythms:-). Also, the quality suffers; a lot of my posts are just thoughts in my head that I type out, which sometimes result in a lack of coherence. There is a decent likelihood that the pace of postings will slow in the near future. There are a lot of other things I hope to do in the future, including a deeper dive into Teilhard de Chardin’s writings, the theology of original sin in light of Pope Benedict’s own writings and his endorsement of Teilhard de Chardin (how is that for a third rail:-), a discussion of Julian May’s outstanding science fiction series, “The Galactic Milieu” and a variety of book reviews. This blog could be around a while. Ursula King and Robert Speaight are great resources on the life of Teilhard. I really enjoy Ursula King’s books especially. The quote from Speaight’s book is amazing with the introduction of “the thinking envelope” which puts me in mind of the noosphere. It is so good to be able to read and make comments on Teilhard’s work (although, admittedly, I’m no scholar) because there aren’t many people with whom we can discuss these concepts. Thank you so much for this venue. I agree that Robert Speaight and Ursula King are two great resources. Speaight is the most comprehensive and I was lucky to find it for $0.25 at a local library book sale. Another good biography is the one by John Cowburn, S.J., which was just published this year. It is shorter than Speaight’s or King’s but includes some different material. Fabulous references! Your enthusiasm is contagious 🙂 Thank you.